LECTURESHIP CONDUCTED ON IST OF SEPTEMBER 2013. CANDIDATES WHOSE ROLL NUMBERS ARE GIVEN BELOW HAVE PROVISIONALLY QUALIFIED THE JAMMU & KASHMIR STATE ELIGIBILITY TEST-2013 FOR LECTURERSHIP, SUBJECT TO FULFILLMENT OF ELIGIBILITY CONDITIONS LAID DOWN FOR THE PURPOSE. 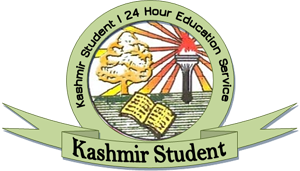 THEY ARE ELIGIBLE FOR RECRUITMENT AS ASSISTANT PROFESSORS WITHIN THE STATE OF JAMMU & KASHMIR. (TOTAL: 1257) RESHIP CONDUCTED ON IST OF SEPTEMBER 2013. 1. The e-certficates of the qualifying candidates shall be available for downloading 15 days after the declaration of this result. 2. The J & K SET Agency shall not be responsible for any technical/typographical error of any kind for this notification. The decision of the Agency in all matters of dispute shall be final. 3. The candidates having any grievances with regard to answer key(s) even after declaration of this result, may send a written request to the Coordinator, J & K SET, University of Kashmir, Srinagar-190006, supporting their stand with proof from standard books/literature along with a Demand Draft of Rs.5,000/- drawn in favour of Coordinator, J & K SET, within one (01) month from the date of declaration of this result. The request(s) so received will be placed before the Expert Committee(s) for re examination of the answer key(s). In case the answer is/are found to be incorrect, The J & K SET Agency will process the result in the light of changed key(s) and qualify the additional candidates for eligibility for Lectureship without changing the result of candidates qualified provisionally as per this notification. 4. In the event of any information being found false or incorrect in the Application Form/OMR Sheet/Answer Script or detection of any ineligibility, the candidate is liable to be disqualified even after declaration of this result. 5. 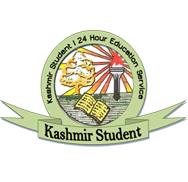 The J & K SET Agency has taken utmost care in finalisation of result. However, if any error is detected at a later stage, the Agency may rectify the result accordingly. This notification is issued with approval of the competent authority.